As I’ve written about here in my personal journey through banking from my childhood in the 70’s to present day, banking has done more than “change” or “evolve” – it’s practically morphed from a noun to a verb. 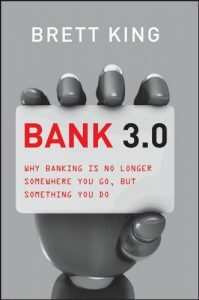 As Brett King says in his book, Bank 3.0, banking is quickly becoming something we “do” not somewhere we go. From online transactions to apps to stand-alone ATMs, the days of standing in line and getting a sucker or gum at the counter are becoming a thing of the past. My role as a banking consultant is to look for what’s ahead to help prepare banks for success, not just survival. Find out more about Bank 3.0 here. In BANK 3.0, Brett King brings the story up to date with the latest trends redefining financial services and payments—from the global scramble for dominance of the mobile wallet and the expectations created by tablet computing to the operationalising of the cloud, the explosion of social media, and the rise of the de-banked consumer, who doesn’t need a bank at all. 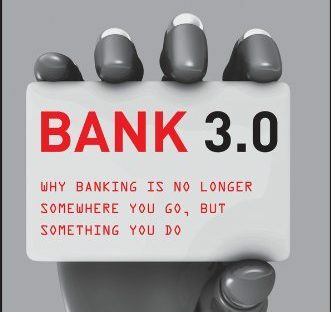 BANK 3.0 shows that the gap between customers and financial services players is rapidly widening, leaving massive opportunities for new, non-bank competitors to totally disrupt the industry. 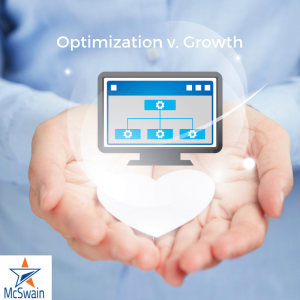 David McSwain is an Oklahoma bank consultant and president of McSwain Consulting providing loan risk management solutions, loan reviews, and bank consulting services to community banks in Oklahoma, Texas, and Kansas.